Tired of your stubborn pooch fat? Try these 7 secret tips that will help your weight loss and finally shed your belly fat without spending hours and hours in the gym! WANTED – six-pack abs! If we could instantly have toned rock hard abs, we would all sign up immediately. Crash diets, hours at the gym lifting weights, or logging miles on the treadmill have not been helping. Since we must be making some mistakes in trying to get these abs, we need step back and correct them. Research in the field of weight loss and exercise has challenged the usual knowledge about fitness and nutrition. There are seven new secrets that will shock you. Once you embrace these secrets, you will begin to lower belly fat and stop having to worry about working out multiple times a day. Instead of putting in more hours, you may only need to put in a few shorter workouts with bursts of energy to get those abs started. 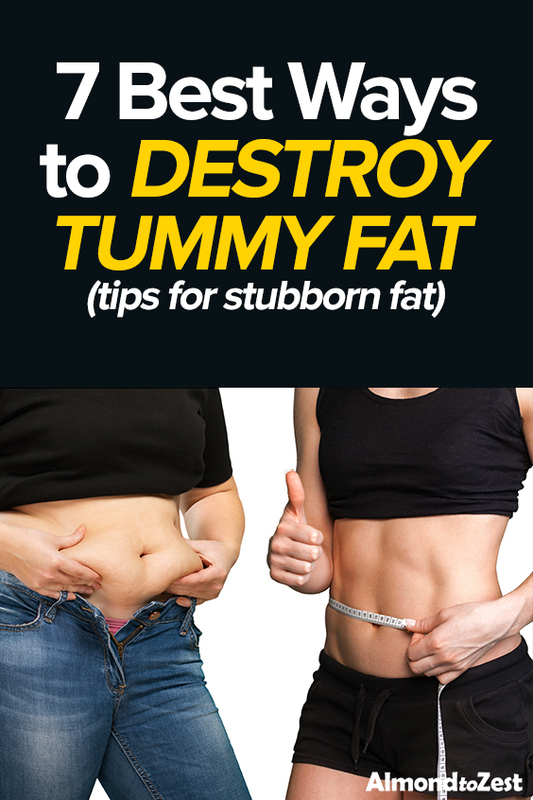 You will be overjoyed to see your stunning abs as they begin to show off in your mid-section. These best kept seven secrets will assist in getting you the abs you’ve always desired and you’ll be confident putting on display! 1. Choose the Hamburger over the Chicken! Are you thinking…are you crazy? In the past, chicken was the number one source of protein for athletes and bodybuilders for years and years. However, chicken today is not the same type of chicken that helped deliver protein to those athletes’ years ago. Today, chicken contains only 63 percent as much protein (and 223 percent as much fast) as they did 40 years ago. Yet, beef contains a type of fat called conjugated linoleic acid (CLA), which is connected to fat loss and muscle gain. Thus, the beef beats out the chicken in this battle. 2. Throw some Cheese on it! The one catch with adding some cheese is to make sure it is full-fat cheese. Cheese is a great source of protein, but you want to make sure you are eating real cheese. Not only that, eating cheese reduces your risk of diabetes. The American Journal of Clinical Nutrition looked at roughly 27,000 people and the more people who ate full-fat real cheese had a lower risk of diabetes than those who ate low-fat cheeses. Most trainers would definitely argue you this point. However, if you truly want those hard abs, you will want to skip your meal and instead get your sweat on! If you skip breakfast, your body will not be spending time processing food and will instead burn fat. Some people feel that you should fast from 8pm to about noon the next day. The thought process is by extending your nighttime fasting until lunch, you are keeping your fat-burning active. You might still think this sounds a bit nuts, but research dictates that intermittent fasting may increase weight loss. 4. Eat Starch for Lunch! Even though starchy foods can be high in calories, it is proven to burn away at your tummy. In the journal Nutrition & Metabolism they found that adding starches such as potatoes, brown rice, bananas, and whole-grain pasta (resistant starch) to a meal activated fat oxidation, which really means fat burning. These pills aren’t just for people with concerns over heart disease. These little glycerine pills are actually amazing for your abs. They can enhance fat burning and lower your hunger levels at the same time! Taking in a high level of omega-3s allows your body to metabolize fat more. By taking omega-3s and combining that with exercise results in dramatic weight loss. At the University of South Australia they gave 75 overweight people omega-3s with and without exercise and omega-6s with and without exercise. The only group to achieve weight loss was the one where they combined omega-3s with exercise. The best exercise to jump start your weight loss is an aerobic exercise, running. You can run at your own pace, and this activity stimulates the heart rate and breathing rate. After running, you will feel a burst of energy to get you through your day. 7. “Healthy” vegetable oil is OUT! Many people do not realize that they are taking in too many omega-6s in their diets. We often don’t notice because they are masked by items such as “vegetable oil,” which sounds healthy, but does not come from your average vegetables. It actually comes from soybeans. A study discovered that this omega-6 actually worked the opposite of what we would like to see – it increases your hunger hormone (ghrelin) and decreases the ‘I’m full’ hormone (leptin). Go grab some coconut oil instead! These seven secrets will help you achieve your six-pack abs you’ve always wanted without going on a crazy diet or working out two –three times daily. Enjoy yourself and your abs too!